The current advances in the healthcare industry is witnessing an increasingly connected and technology-advanced operational infrastructure. This has led to it becoming one of the largest producers of sensitive and personal data about the numerous patients it caters to daily. Hospitals, clinics, laboratories, insurance companies and other medical networks are swamped with gargantuan amount of patient information. This has generated an urgent need to create a system to effectively manage this data. Tis not only encompasses data form paperwork, but also remote monitoring services, clinical trials and other research. This has further fueled the demand for a proper digital intervention, propelling the e-clinical solution software market. E-clinical solution software include technologies that could prove vital in managing data, increase efficiency, and reduce development costs. E-clinical solution software essentially automates the management of clinical trials and replaces manual methods. They are immensely made use of by research organizations, pharmaceutical sectors, and biotechnology companies. Challenges such as stringent government regulations and surging competitiveness, have led to the development of e-clinical technologies. These software capture data from clinical trials aiding in swifter and more efficient execution of everyday operations. It also assists in effective planning, implementation, and tracking of clinical trials data across different vertical and geographies. The advent of innovative technologies, such as smart wearables, could allow linking of patient data to monitoring systems, enabling direct access of this information to medical professionals, researchers or doctors. The gaining traction of such devices is expected to provide a further impetus to the development of the e-clinical solution software market. This technology has a perquisite of access to high speed networks, which could hamper growth prospects somewhat. However, the swift adoption of big data technologies is expected to overcome this restraint in the coming years, providing an upthrust to the global e-clinical solutions software market. The increasing demand for effective and efficient method of analyzing, managing, and tracking clinical data is driving the adoption of e-clinical solution software across the globe. These solutions are instrumental in collecting clinical research data and managing it with the help of sophisticated technology. The various types of e-clinical solution software available in the global market are cloud-based solution software, web-based solution software, and licensed enterprise solution software. The market is expected to see the cloud-based e-clinical solution software market surge in the coming years. The high demand for new drug discovery through clinical trials and research and development is expected to augment the growth of the global e-clinical solution software market. The market is also likely to be driven by the growing need for efficient data management and standardization of data. Benefits of using e-clinical solution software such as reduced time during clinical trials and improved productivity of drugs are also coaxing several end users to adopt newer technologies. The prominent end users in the global e-clinical solution software market are clinical research organizations (CROs), the healthcare sector, and the pharmaceutical sector. 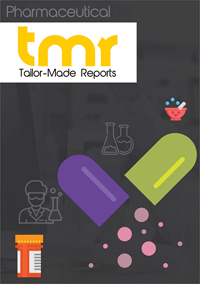 The report states that the pharmaceutical sector is likely to dominate the global market as several players in the market are focused on developing new and improved line of drugs. The CROs segment is also expected to show a steady growth rate in the near future, anticipate analysts. Product innovation is assessed to be the driving force behind the success of the market players in the near future. For instance, Ambra Health, announced the introduction of Ambra for Developers. This cloud-based platform for medical imaging is projected to allowa deep learning, teleradiology, diagnostic decision support, second opinion portals, and specialized image analysis. This solution is expected to enable automated extraction of data, which will permit a detailed analysis from remote locations. On other hand, eClinical Solutions LLC, was awarded a place on the 20 Most Promising Pharma and Life Sciences Tech Solution Providers list of 2016 by CIOReview. The company won the spot for its innovation and value addition to through solutions such as Data Management, Electronic Data Capture, Data Standardization and elluminate®, a clinical data analytics platform with improved visualization and analytical abilities. Thus, efforts to break new grounds and win a wider consumer base are expected to drive the overall market in the near future. The global market is spread over regions such as Asia Pacific, North America, Europe, and Rest of the World. Of these, North America has a strong foothold in the overall market due to a growing inclination of organizations and institutes toward technological advancements. The increasing funding by the governments to digitize clinical solutions, rise in the number of clinical trials, and growth of pharmaceutical companies are also expected to make a significant impact on the e-clinical software market in North America. Analysts anticipate that Asia Pacific is also likely to show steady progress in the global market as the region is realizing its huge patient base. The emergence of the medical tourism industry in the region and budding clinical research organizations (CROs) are estimated to have a positive influence on the overall regional market.